» PC Reviews » iBUYPOWER AM003i Gaming PC Review, Is It Worth The Investment? « Furmax Gaming Chair Review, Actual Comfort For The Cost? iBUYPOWER (www.ibuypower.com) has been a trusted brand with the PC gaming community for almost 20 years now. They’ve mostly known for their pre-built gaming PCs and the quality behind them. iBUYPOWER PCs are used in many popular eSports tournaments as well as being a go-to for those looking for a high quality pre-built PC. Although in the past most of the options from iBUYPOWER have been overpriced by more than usual in the market… They are starting to make sense with the pricing of graphics cards and memory sky rocketing up. If you have no interest in putting your own PC together and want something at the high-end level then this PC will be a viable option for sure. We’ll be going over all of the overall specs to show why! Whether you’re getting a pre-built or building your own PC you need to understand the type of hardware you need for whatever tasks you plan to do with the PC. If your goal is to play all of the newest titles on the maximum graphics settings with the highest frame rates possible then you’ll need hardware to match with that. If you plan on streaming and/or creating content on a daily basis then you need hardware that’ll allow you to do so with ease. For a processor this uses an Intel Core i7-7700k. It’s a quad-core processor at a speed of 4.2 GHz. I currently use this processor and am slightly overclocking it in my current PC build. It’s an overkill CPU if you don’t plan on playing VR titles, doing heavy processing tasks such as graphic design/video editing or streaming. If you plan on using the PC for those types of tasks then this is definitely an ideal processor for faster rendering speeds and smoother performance in the newer VR titles that have come out recently. For games played normally it’s still an excellent performing CPU, it crushes the recommended requirements for all of today’s titles and it’ll still be more than enough for years to come on the CPU side. Liquid cooling is included with this CPU so you’ll be able to get a decent overclock for even further performance if you deem that necessary. How I see it, you might as well put at least a slight overclock since that’s really what the liquid cooling is here for. It has a GTX 1080 for the video card which, especially having it combined with the i7-7700k, provides an extremely high level of gaming performance. The GTX 1080 was made for 1440p/4K resolution gaming. It’ll have very high frame rates at 1440p and it’ll hold it’s own having a smooth frame rate even at 4K. 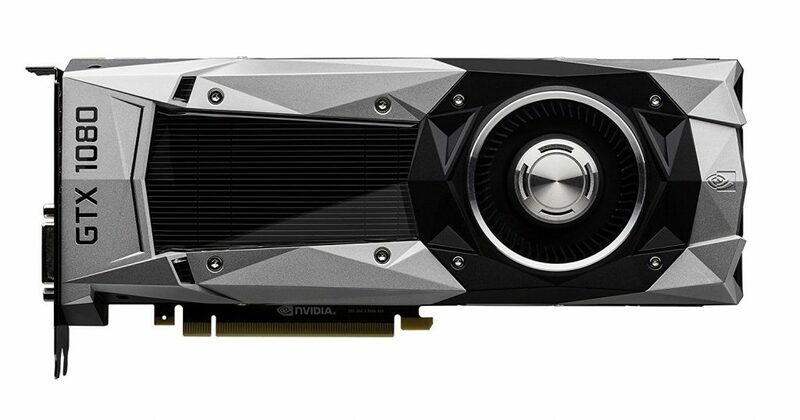 With 8GB of VRAM and high specs inside… it’s a top tier card. There aren’t many cards that are better on the market for gaming at this price. If you want to record gameplay but still have the game looking beautiful and running over 60 FPS or higher then this is the type of card you’ll need. This also smashes through all recommended requirements for today’s games and it’ll handle all of VR gaming. If you’re considering this PC just for 1080p then you should maybe look for something cheaper since this GPU and CPU combo is overkill for 1080p. But it’s not only the video card and processor that justifies the price point. All of the other specs inside that also come with is what really makes this worthwhile. Now that you know that the gaming performance of this PC is at the higher level of performance you also need to understand everything else that’s inside. It also includes 16GB of DDR4 RAM, a 2TB hard drive, a 240GB solid state drive, a wireless network adapter for wifi and an iBUYPOWER keyboard/mouse combo. 16GB of RAM for gaming is more than enough for the long haul. Even with the newest titles, 8GB is still the standard. Sooner rather than later it’ll become the norm that games will use more than 8GB of RAM so having 16GB right out of the gate makes it future-proof there. A 2TB hard drive with a 240GB SSD combined is actually more than I expected that would come with this. 2TB will give you all of the space you need for plenty of games and having Windows 10 installed on the SSD will makes the computer boot extremely fast. There’s also a bit of extra room even with Windows 10 installed on it so I’d recommend installing your most used programs and most played games on it as well. Although it’s always better to have a direct connection to your modem via an Ethernet cable, if wifi is your only option then it comes with a solid network adapter to connect and stay connected. The keyboard and mouse that comes with is straight from iBUYPOWER and they’ve always had great peripherals that come with. The keyboard has all of the multi-media keys you’d need. There is a DPI switch with the mouse that’ll allow you to switch DPI on the fly. However, it is a standard keyboard and there are mice on the market that have many more features so upgrading to different peripherals might not be a bad idea if you’re looking for something better. All of these other specs, combined with the gaming performance, makes this a recommended pick in my book. Sure, by building your own you could have different brands and what not that you like and possibly save some money but for what it is and the support behind it… It’s hard not to recommend. 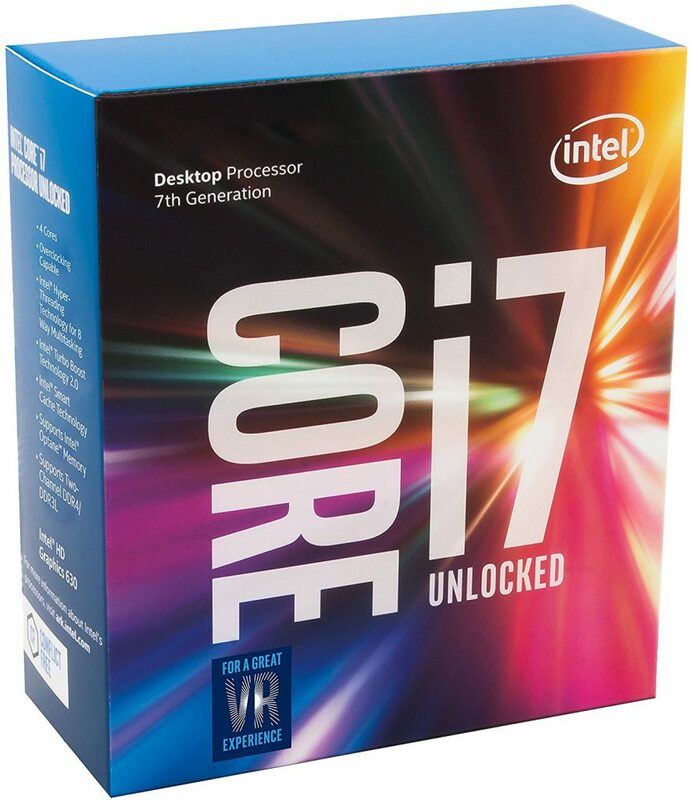 There is also another model of this listed on the product page that uses the i7-8700k instead of the i7-7700k as well as double the SSD storage so be sure to check that out if you’re interested in even more performance. With all of the commotion going on with GPU and RAM prices being so high it makes sense to be looking at pre-built PCs and if you’re looking for a top-notch desktop, you should definitely consider this. Don’t just take my word for it though, there are plenty of people that are using this PC and it’s highly rated! 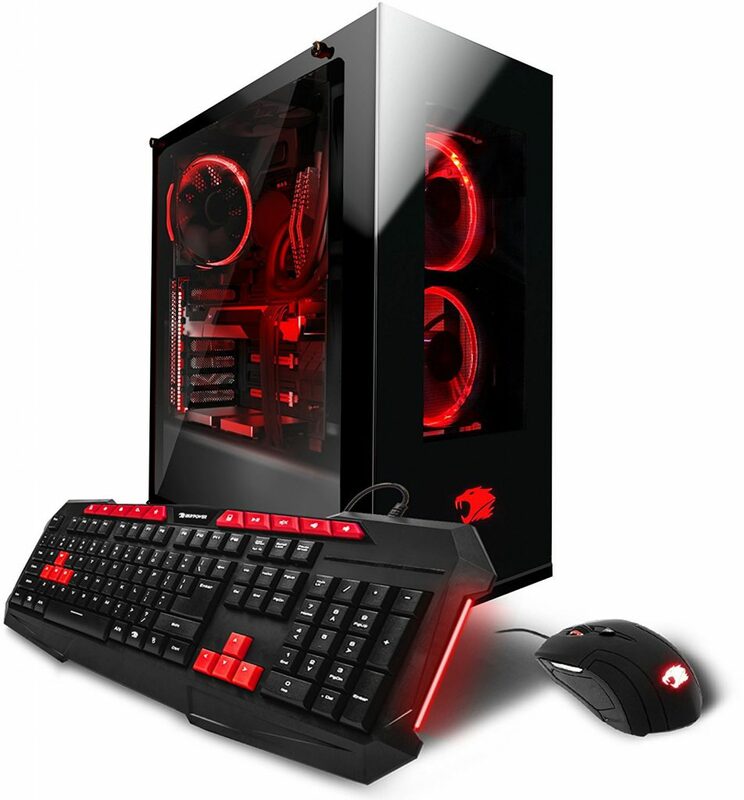 It’s also worth noting that you get lifetime tech support from iBUYPOWER when you buy this desktop which is an obvious plus to take note of if you decide to pull the trigger on this one. So, what do you like most about the iBUYPOWER AM003i? Tagged am003i, gtx 1080, i7-7700k, ibuypower, pre built gaming pc. Bookmark the permalink. 4 Responses to iBUYPOWER AM003i Gaming PC Review, Is It Worth The Investment? My son is really into gaming and loves to play Overwatch. We have a couple of pretty old laptops and they really aren’t meant for serious gaming. I have been helping him do some research on a gaming PC, and really enjoyed reading your review. The thing I notice the most with the laptops is they get hot and the fans run all the time when he is gaming. I know the graphics cards and CPU are super important as well as fans to keep the unit cool. Do you think this might be overkill for what he is doing? I don’t want to go cheap though either because that will probably bite me later on. We have also thought about building a PC, thinking that might be less expensive. I would love to get your take. This iBUYPOWER AM003i seems like a whole lot of machine, but it might be just the right one. Looking forward to hearing back from you. It comes down to the resolution that he’ll be playing at. If he’s using a 1080p monitor then this would be overkill since the hardware is meant for higher resolutions. But as you said, being overkill also means that it’s set for years to come. There are plenty of guides here to putting a PC together as well, it’s always fun to build one! I’d suggest taking a look at this $1,000 PC build guide if you ever get more into the idea of doing your own build. Happy to help over there! 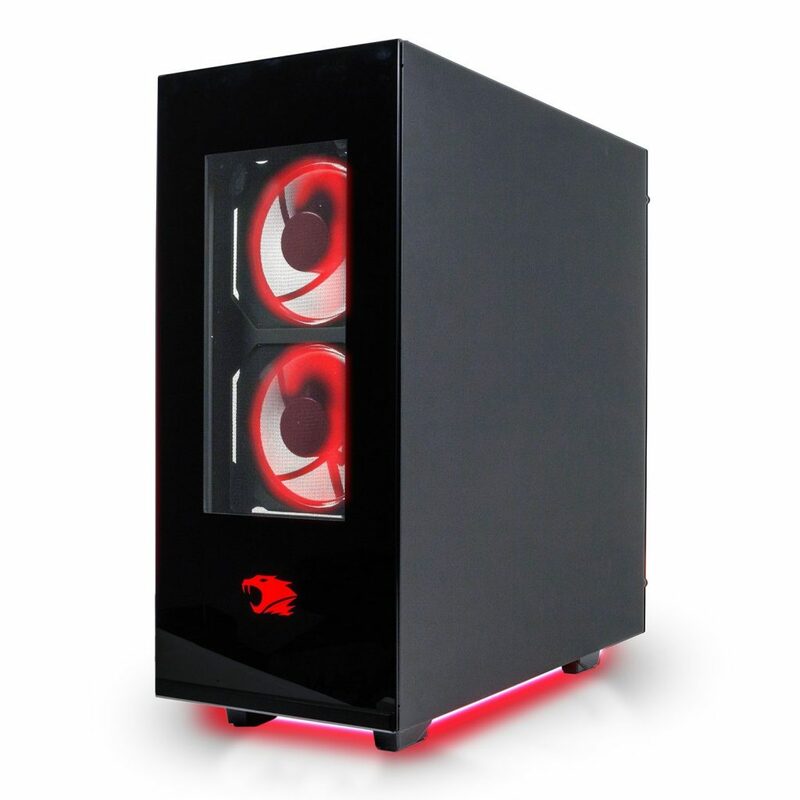 This is a really wicked looking PC, love the red glow of the lights. My current computer is not too bad, but when I’ve tried to play some of the latest computer games, it seems to struggle a bit, even freezing up sometimes, so I either have to make some upgrades, or update my entire computer. I figured the second option might be the best one, so why not go for a PC that’s purpose built for gaming? Maybe the processor is overkill for many regular applications, but I’d rather have power in reserve than not enough when you really need it. Just one question. Is the mouse and keyboard that comes with this PC cordless? This would be lightyears ahead of your current PC, the specs are extremely good for all of today’s titles. The keyboard and mouse are both wired.